Location: Melrose, Massachusetts is a city of approximately 28,000 people located 7 miles north of Boston. Our offices are on the 2nd floor of the Beebe Estate at 235 West Foster Street in Melrose. Mission: To raise community awareness of teen dating and domestic violence, and to promote programs that work to reduce violence and encourage healthy relationships. Funding: MAAV is funded through a combination of federal, state and local grants, individual and corporate donations, and funds raised through special events. 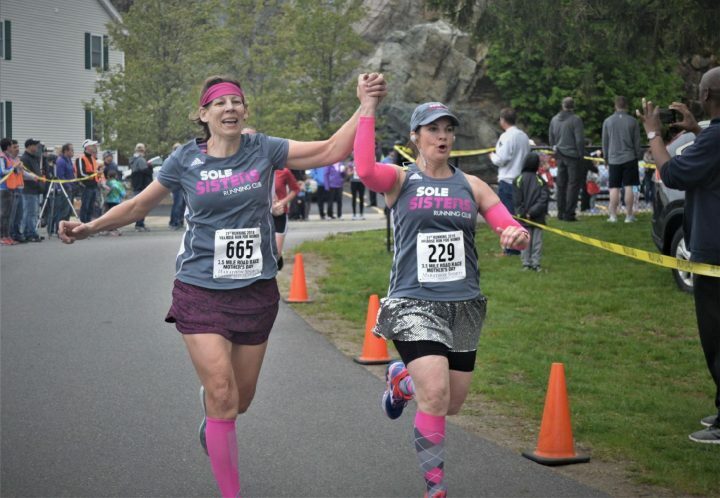 Our two major fundraisers each year include the MAAV Walk & Candlelight Vigil in October, and the Melrose Run for Women, led by the Melrose Running Club each year on Mother’s Day. Staff: 1 full-time Executive Director and 5 part-time staff members. Board of Directors: 12 Board members and 9 Associate Board members include representatives from the police, schools, clergy, hospital, business community, health department, students, parents and community members at large. Palm cards listing hotline numbers placed in stores, restaurants, public buildings, churches, medical offices and businesses throughout the community. Information booth at the Annual Victorian Fair. Annual Walk & Candlelight Vigil held each October commemorating victims and survivors of domestic violence. MAAV e-newsletter, “The Communicator” with over 2500 subscribers. Daily tips and updates using social media. Web site providing information and confidential advice. Editorials in the local newspapers and programs on cable television. Presentations on relationship violence to church, civic and community groups. Men4MAAV initiative engaging boys and men as allies and leaders. Safe Steps for Melrose Project addressing teen dating abuse, sexual violence, and students exposed to domestic violence in partnership with the schools, police, and other community agencies. Includes policy implementation, prevention programs and intervention for students. Also includes training on relationship abuse for coaches, staff, parents and student leaders. Steps Counselors at the preschool and elementary level offer counseling for children exposed to domestic violence. Project also includes training on relationship abuse for coaches, staff, parents and student leaders. Community Mentoring Program matching caring adults with middle school youth at risk. “Healthy Relationships” Program for all 8th graders in the Melrose Public Schools. 20-member Student Action Board at Melrose High School addressing teen dating violence and sexual assault and serving as peer mentors to 9th graders. Students Against Violence (SAV) Club open to all Melrose High School students. Teen palm cards listing hotline numbers distributed to teens and school staff. Offer training on domestic violence, teen dating abuse and bullying for educators, healthcare, childcare and human service providers, police and clergy. Follow-up with victims referred by the Domestic Violence Officer at the Melrose Police Department, offering information, support, resource and referral services. Provide assistance in response to phone calls, office visits and e-mails from individuals, friends and family members seeking help. Provide weekly support group for victims and survivors of domestic violence. Resource Library includes brochures, handouts, articles, books and videotapes available free of charge or for loan. Serve on Melrose Community Coalition. Serve on Melrose Public Schools Wellness Advisory Council. Invited to speak on teen dating abuse prevention at the White House in February 2013. Served as model for Stoneham and Wakefield to launch similar organizations.